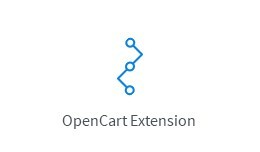 Este módulo para opencart 1.5.x necessita do vqMod. Caso você não saiba o que é ou como usar acesse o link abaixo: http://www.opencartbrasil.com.br/artigos/conheca-vqmod Para opencart 2.x basta fazer o upload do arquivo zip no instalador.. This extension will add to products intelligent corner images, which changes automatically according to your special/discount value and stock status. It's full multilingual and multistore capable. 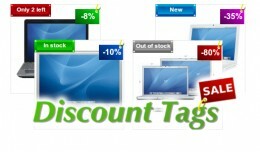 The text on the tags, is not part of the image, ..
Special Discount Tags with stock status (FREE SU..
Questa estensione gratuita permette di inserire l'avviso (obbligatorio) di accettazione dei cookie da parte degli utenti. L'avviso è facilmente leggibile, non invasivo, responsive, si presenta solo al primo collegamento. Installazione semplic..
[VQMod] Avviso Cookie Italiano/Cookie Alert Engl..
CKEditor 4+ (4.8.0) - full What it does CKEditor is a ready-for-use HTML text editor designed to simplify web content creation. 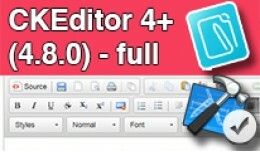 It's a WYSIWYG editor that brings common word processor features directly to your web pages. 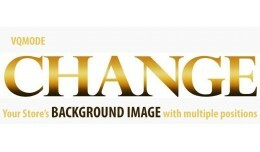 Enhance yo.. This extension allows admin to assign an unique image for each option value per product. 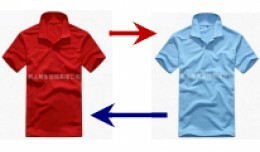 When the option is selected on front-end, main product image will be swapped with the corresponding option image. What's new in v2.2 - OpenCart 3 updat.. Forced SSL Everywhere OC 1.x - 3.x This extension enforces SSL mode for ALL existing links and media in OpenCart for both admin and front end sessions, fixes insecure (mixed-content) issues, protecting your site from hacker atta..
Mass Order History Update Updating the order history order by order can be tiring. Why not mass update all of them together? 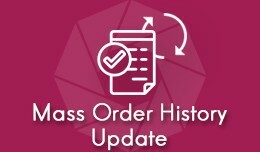 All you need to do is select the orders you wish to update, then in a click of a button, you can assign all the s.. 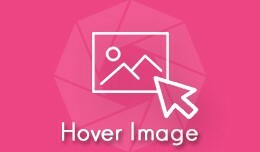 Hover Image Hover Image allows you to display images to next to your options, and changes the main image upon hovering over the option values. Documentation & Installation View documentation and installation guide. What is New :- Now you can contact your customer directly on whats app from order list page. No need to save their number in contact list. To contact your buyer on whats app ? 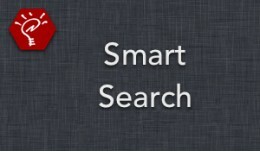 just click on whats app icon which is given in front of mobile num.. 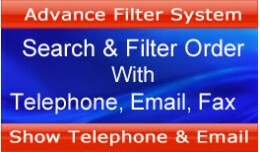 This is the ultimate Purchase Order Management System available for OpenCart. This system is essential for any serious eCommerce store that has multiple suppliers and manages large or small inventory. 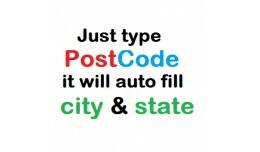 This extension simplifies the Purchase Ord.. 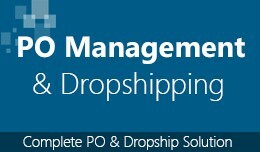 Complete Purchase Order Management and Dropshipp..
DEMO Admin side - Frontend . 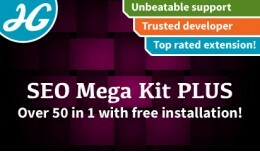 . . . . . . . . . . . . . . . . . . . . . . . . . . . . . . . . . . . . . . . . . . . . . . . . . . SEO MEGA KIT LITE REQUIREMENTS - vQmod 2.4.1 or higher (Latest version always recommended) - Apache ..
SEO Mega Kit PLUS - Complete SEO Friendly URLs -..
if you are searching for how to automatically write state & city name when customer type post code? than this extension for you. all necessary guidelines are included in download file. 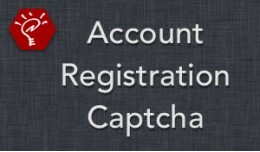 Live Demo This extension have an admin setting where .. Some of you might not updated your store to the latest Opencart version for some reason, but some of you might like the feature on the build-in Opencart version 2 as this one, This mod might be simple but will save you a lot of time by ha.. 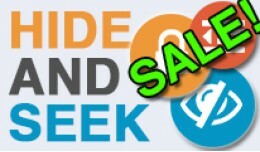 Hide and Seek Bundle Pack SALE 25% OFF !!! Our support team can help you with ANY admin theme ------------------------------------------------- What it does ------------------------------------------------- This pack cont.. 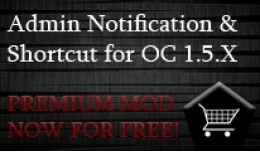 This extension will allow you to restrict maximum quantity the customer can buy for any product. 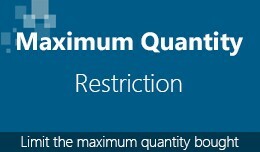 If the buyer adds more than allowed quantity to the cart, he will not be able to checkout. The product page will display maximum quantity he ..